Welcome to Madison's only private dog park. 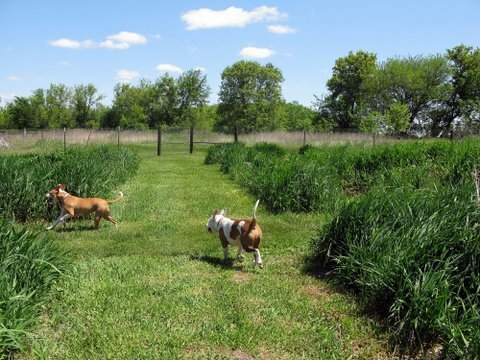 Are you looking for a safe place to exercise your dog without all the hassles that go along with the public parks? Well here it is! There is both an Indoor Playground and Outdoor Park. The park is located just 1 mile east of Madison. You can rent the park in 45 minute play sessions for just yourself and your dog or share with a friend of your choice.